Subtitle - "In news that isnt news to anyone who has acutally played video games"
Did you play any of the Div 2 this weekend ? Being a loser who lives in his parents basement and has no social skills is probably more associated with violence than whatever video game said loser spends his days on. It may not make you violent, but it is proven to desensitize individuals to violence. It doesn't make you want to pull the trigger, but faced with certain circumstances it removes your inhabition to pull the trigger. 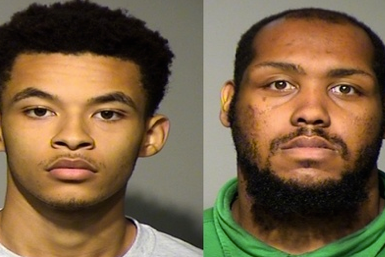 Indianapolis police say LaVon Drake, a manager at Papa John’s who was delivering food, was shot and killed by three teenagers named Juwuan Terry, Jason Epeards and Jasean Dale, who robbed him and then ate the pizza. 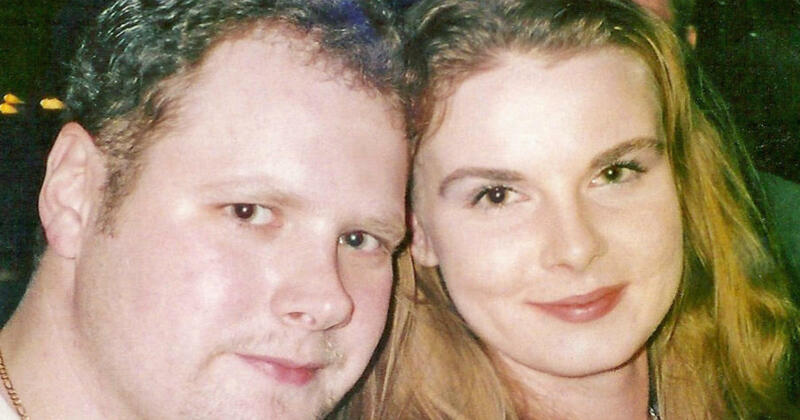 In one of Knoxville's most horrific crimes, Channon Christian, 21, and boyfriend Christopher Newsom, 23, were carjacked, kidnapped, raped and slain in January 2007. I believe this. I also believe that many children today have been raised thinking that there is no real consequence for bad behavior. They also don't know how to handle 'bad situations' or situations that make them mad or uncomfortable. Look at all of the young folks today that are continually offended about things. Look at how violent some have become because they get 'triggered' over the clothing that others wear. I'm in the process of reading Dave Grossman's revised edition of "On Killing" ( ) and he makes what I think is a fairly persuasive case that media (be it movies, etc., but primarily video games) does have a negative effect (as in, "more violent"). I'm still processing all of this, but I think Grossman's point is that since media (e.g., video games) doesn't turn a non-violent person into a gun-slinging, violent, sociopath these studies probably get it right. But these studies are asking the wrong question. No one disputes that video games condition (both classical and operant) response. And as one would expect they condition the "fight or flight" mechanism to shoot when provoked. Beyond that Grossman and these studies part company. Grossman focuses on the fact that video games - unlike the real world - don't teach restraint. They can't because in video games the "safety is removed" (meaning that there are no real consequences to drawing, shooting, and being wrong (by either shooting the wrong person/for the wrong reason or being shot)). In the real world, however, training includes (required by law) a "safety" where trigger pullers are confronted with "shoot or no shoot" scenarios, being shot back at, etc. What this does is put a brake on the "fight or flight" tendency to shoot first and wonder later. So while video games may not make a killer out of a playa, Grossman is adamant they do make for a less restrained, more indiscriminate shooter. Given Grossman's standing in the community as The Expert on this subject I think this might be worth our consideration. You posted this comment ^^^^ as I was writing mine. Agreed. What you mentioned is one of the areas where there is "application beyond the immediate discussion." Bugs Bunny did not make me want to always make a left at Albuquerque, Wile E. Coyote did not make me think Road Runners would taste good, playing with cap guns did not make me more likely to bust a cap in someone's azz. Unless someone cannot tell the difference between real life and a game, like they think they're a king if they're really good at chess, I don't see how it is possible that playing games would make one more likely to be violent. Unless someone cannot tell the difference between a game and real life, I don't see how a game can make someone desensitized to violence. Jinx's generation watched gazzillions of people killed from John Wayne's pistols, revolvers, shotguns, and rifles as well as many an Indian use an arrow to brutally kill white folks. My generation watched buddy cops do it. The current generation does it with VR goggles. All of our kids watched Elmer Fudd shoot Bugs and Daffy with no consequences except for Daffy's bill being spun around, and yet our kids didn't go kill anybody. What makes people desensitized to killing is when they're sent to war generation after generation. What desensitizes people to killing is watching their brothers and mothers and fathers involved in violent crimes and next to nothing done about it like inner-city youth have with liberal city leadership. It's that damn rock n roll music. Lindybiege is really good. Really enjoy his YouTube channel (especially when we're talking tanks!). THIS IS A FANTASTIC VIDEO. Doesn't go far enough, but fantastic nonetheless. Thanks for finding it and posting it. Here's an interesting (perhaps) side conversation Lindybiege also mentioned: PTSD. Why is it increasing these days? I would submit culture has played a large role in this increase. One one hand we have soldiers who are being conditioned to shoot to kill more easily (this is Lindybiege's point). However, on the other hand, we have built a society that uncritically condemns all violence (meaning, all killing is wrong and no killing is honorable (even that which is done in war or police duty, etc.)). So the soldier kills in battle for his/her country but then comes back to this very same society and finds it condemning him/her (in both word and attitude). In psych this is called a "double bind." Double binds are some of the hardest problems to deal with in mental health counseling. Like you said, we watched the Lone ranger Roy Rogers and Hopalong and we all had cap pistols and yet we don't kill anybody. But what does that prove?. When is the last time you saw a cap gun for sale?You cant buy a cap gun now, unless it's a collectors item. Kids cannot even carry a small pocket knife to school or take an aspirin..
Toy manufacturers now would go out of business making toy guns. So with no proof of killings caused by cap guns they were more or less outlawed. If the liberals want to outlaw Video games they are history. Same way the cap guns went out of favor.